The Moon in our birth chart tells us about emotions, nourishment, happiness, and Soul. It indicates what energies we feed ourselves to feel happy and how we are being pushed to manifest them. While the Sun suggests what makes us feel alive. In this article, we want to present the evolutionary intention of the Moon in the signs, how to nourish it to avoid the negative manifestation of this combination. The evolutionary aim is to impose the courage art. However, with the moon in this sign, there is a great need for adventure. To feel nourished and at ease, the soul needs to live challenges, innovations and some degree of tension. The mood ranges from the desire of competitiveness, that feeling of having a sense of urgency by bringing the individual to feel nervous. Intimacy is often expressed through some provocation. The domestic environment tends to be explosive, but who has the moon in Aries is very protective of his family. Those born with the Moon in Aries are stimulated to awaken their instincts, perhaps because once they have repressed them, and are struggling to re-contact them for that reason may sometimes feel anxious. A good way to reduce this anxiety is to jump into new and exciting adventures. 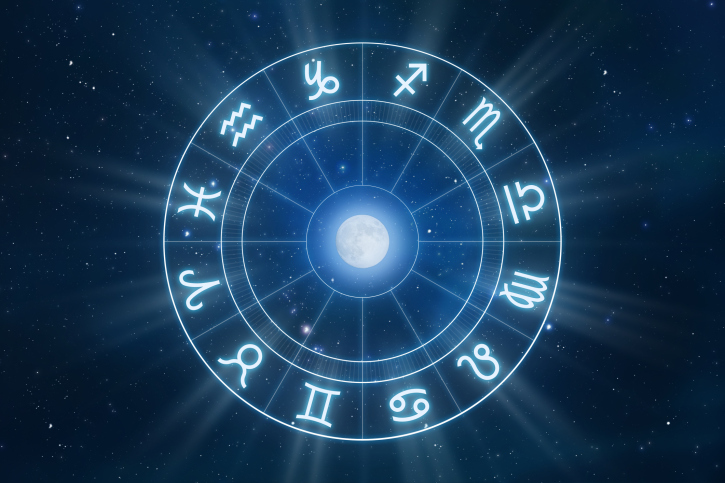 The evolutionary purpose of those born with the Moon in this sign is to find an inner confidence on an emotional level. A desire for peace, the practicality, reliability, nourish the souls born with the Moon in this sign, which probably on karmic level may have experienced emotional torments difficult to manage, therefore, are now being encouraged to rediscover an inner peace, firm and lasting. To keep this peace they are encouraged to come with contact with the most simple things and at hand. Nature, animals, gardening, soothe the soul born with the Moon in this sign you want to savor life through the five senses to reconnect to the breath and the mind, body, and matter included! They need to feel confident in this body and in this lifetime! If not nourished this moon, to feel safe, he tends to stick to the things and people possessively. The evolutionary purpose for people born with the Moon in Gemini is to communicate their emotions and to feel particularly free to do so safely. This Moon feels happy when it’s given the freedom to curiosity, to experiment, to move from one flower to another like Peter Pan. It feels free when you can breathe deeply, but you really feel free when it’s re-conquered an inner freedom. The evolutionary invitation for those born under this moon is to unite the heart to the mind, avoiding the risk of metallic emotions too. If not nourished this moon becomes destabilizingly stressed and confused especially mentally. The evolutionary purpose for people born with the Moon in Cancer is to feel safe even when they allow themselves to be a bit vulnerable. Their soul is forced to love, to feel, to feed itself in depth, to be a mother. They have a great desire to live in a safe nest, thus creating a protected domestic environment where they can escape. Feeling nourished and nourishing others makes them feel useful, but it is within themselves that they need to feel all the love they already know how to give. Perhaps sometimes makes it hard to receive. If not nourished this moon is likely to become obsessive and suffocating on emotional level towards others getting too protective. Freely express themselves emotionally and become extremely vital for the Souls born under this sign. These are the creative moon, they need to play, enjoy and express themselves and who have something to give. Mainly from re-conquest: dignity above all! Therefore they need someone they can admire and that value, even if only one person. But if this Moon feels insecure it will tend to develop a little ‘ego-centrism focusing especially on people who do not appreciate, rather than on the only really managed to enjoy their gift. The home environment will tend to become a kind of stage, so do not ignore those born with this moon, but don’t give them too much attention either, because they will do anything to get it. Those born with the Moon in this sign to feel sure must feel that everything is in the right place. Everything must be clear and understood, precise and accurate. If you were born with the Moon in Virgo you will love surely nourish each other and be put to the service of those in need. If the Moon tells us what to do to feel happy, people born with the Moon in Virgo have to do something so well that they may become pleased with themselves to regain a confidence perhaps lost once, a trust that has to do with the value staff and self-esteem. If the Moon is not nourished in danger of becoming too paranoid and self-criticism too easily by focusing on the controversies seeking attention recognition, that recognition, and appreciation that he can not give himself. Regaining peace and harmony is essential for people born with the Moon in this sign. A peace they are willing to maintain at all costs, rather than conquer. To feel safe this Moon needs to feel that it is free to choose thanks to the gift of diplomacy. They must feel that they can manage to maintain an inner balance. Probably they are shocked deep in the soul, so every time it is difficult to maintain this coveted peace. If you were born with this moon can help you maintain balance nourishing it through beauty, harmony, perhaps admiring a sunset, or painting a picture, photographing nature or admiring the beauty and harmony around you without ever paying a too high a price to win, denying your emotions and your desires just to maintain a superficial balance. If not nourished this moon will always feel insecure and threatened from within. Intensity is the watchword. Your emotions are intense and without boundaries. The souls born with Moon in Scorpio are pushed to explore every taboo, to live and to recognize within themselves a perhaps repressed emotion that must rise to the surface. Therefore, they do not always feel safe and secure emotionally, but very threatened. At which point (sometimes) to trigger a defense mechanism that leads to a counter-attack even before the other has really attacked or had the slightest intention. The right direction to take is in fact within themselves, intimate unconscious. The universe would like to invite the souls born with this moon in the depths of one’s soul to help in an introspective journey that allows them to be able to regain a true inner security no longer feel threatened. These Souls need to be honest to the end and hate hypocrisy. Rather they tend to be reserved and introspective and won’t let go their emotions easily. If they do not allow these emotions o penetrate deeply, focusing on externals, to protect themselves, could become paranoid and too suspicious of anyone who tries to get too close. But their potential has no limits, they can achieve anything. Freedom and adventure nourish the hearts of those souls who are in search of their truth. They re invited to expand their emotions with confidence and optimism. It may be that at a karmic level something has gone wrong therefore if they do not always feel safe to expand their emotions with confidence, they are invited to nurture this Moon with the adventure offering something new. It’s a trip or a course that can bring new enthusiasm and lifeblood. The evolutionary purpose for those born with this moon is to regain confidence! Particularly generous souls, energy tends to manifest itself outwardly as it is. In life, they need to regain and maintain confidence and optimism. If not properly nourished the souls born under this sign, they will be convinced to have the truth in hand living life to convince others. The evolutionary purpose for people born with the Moon in this sign is to learn to express themselves emotionally in the right measure and therefore to avoid getting too much influence and overwhelmed by the emotions that might once have created a problem. No cold souls like classical astrology tend to define, but independent souls and determined. To feel secure and confident of themselves, souls born under this sign have to face a brave emotional journey that will help them regain emotional security step by step. Are pushed to mature emotionally and walk this emotional journey will need moments of solitude that become for them a source of nourishment. If not nourished, this moon will tend to control every emotion as a defense mechanism, preventing love to get out, but also to enter, assuming a continuous emotional control. Freedom to be who they want to be and regain the right to be unique and perhaps different from others. This is the evolutionary purpose of souls born with the Moon in Aquarius. The way they feel and experience emotions may not be understood and often for the soul to feel safe and secure, could deny their emotions to avoid being excluded. But its evolutionary invitation is just the opposite. At the risk of feeling excluded, they must express their emotions for what they really are! The Soul wants to regain the freedom to be who he really is, without fearing anything. To feel nurtured and safe must break free from an external control that others exert over them, or that they (to prevent rejection) exerts on themselves. This could, in fact, lead to an emotional detachment bringing it to deny itself and his own emotions in search of safety. To feel safer, they must be surrounded by people with similar feelings, ideas, and opinions, with which they can afford to show their uniqueness. If not nourished, this moon, manifested by stubbornness thinking about being unique and better than the others, taking more and more distance from others and from their own emotions. The souls born with this moon are very emotional and sensitive. Their evolutionary intention is to develop empathy and compassion and to perceive the world around them and the other without any border. This energy can become destabilizing because (since there are no barriers) could absorb the emotions of others, becoming their load. To nurture this Moon and to learn how to protect themselves, meditation becomes a vital tool, but also dance, music, art and contemplation, means that help the blood to use these vibrations to enter into a trance and to reconnect to the created and to their essence. Souls are pushed to feel part of the whole, perhaps because they have something to forgive and to be forgiven. If this Moon is not nourished the souls affected by this energy are likely to shut themselves up in their imaginary world coming easily accused of “being in the air” and in their world, a world of their useful, a world that, however, should not become a refuge, but rather a true and deep contact with all of creation.